After getting inspired by seeing Cinnamon's mouthwatering Chicken fry the other day, I immediately planned the same for my Sunday lunch with green peas pulav. Today we had a treat having the chicken fry with some onion-cilantro-yoghurt's salad/raita with a can of cold diet pepsi. Yeah I have soda when I have something non-veg dish cooking, thats helps with digestion (my funda). 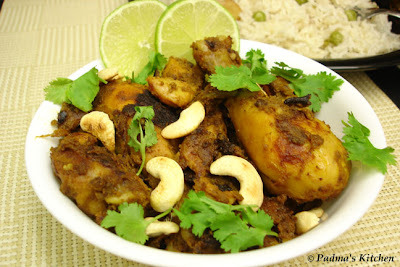 Hope you will enjoy this nice, tasty and juicy chicken fry. Keeping it short and sweet though, here is my adapted version of Cinnamon's chicken fry followed by green peas pulav recipe. Clean the chicken and cut into bite size pieces or as per your requirements, you can keep the whole chicken thighs as it is. Marinate the chicken with turmeric powder, chilli powder, salt and the prepared paste for at least 15 mins. Heat oil in a large skillet, to this add the bay leaves, jeera/cumin seeds, cinnamon stick and cloves, fry for a minute. Add the sliced onions, green chillies and saute till the onions are translucent. To this add only the chicken pieces and fry them covered till they look cooked or for 10 mins. Afterwards add the remaining marinated paste, mix well and add the garam masala powder/spice mix, grate the nutmeg on top. Saute on medium high till all the moisture evaporates and the chicken pieces starts to caramelize, keep on frying till you get the desired color and flavor. Do check the spice level and salt, add if required. Garnish it with toasted cashew nuts and chopped cilantro. Serve with hot rice or any pulav/biryani. Note:adjust your spice level accordingly while using green chillies or chilli powder. This green pea pulav recipe I learned from my Mother, who has inspired me in lot many ways and is a superb cook. I made a genuine attempt to bring in the same flavors as of my Mother but as is said, "Maa ka haath ka khane main kuch alag hi jaadu hain" But her formula works with ginger-garlic paste. 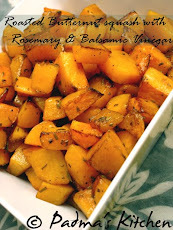 This is a very simple and easy recipe to lay your hands on! Wash and soak the basmati rice for 10 mins approx. Heat oil in a medium size sauce pan, to this add the bay leaves, cinnamon stick, cloves jeera/cumin seeds and cashew nuts. Fry for a minute or till the nuts change to golden color and add the sliced onions, green chillies. Saute and add ginger-garlic paste, season with some salt, garam masala/spice mix, green peas and mix well all the ingredients. Lastly add milk to it. Stir in the rice and add water. For every 1 cup of uncooked basmati rice we have to add 2 cups of water, since we already added 1cup of milk to it we now add the remaining 3 cups of water. Stir, check the salt in it and cook on medium high heat uncovered for 10 mins and then cover and cook for another 5 mins. Once cooked fluff the pulav with fork and serve hot. 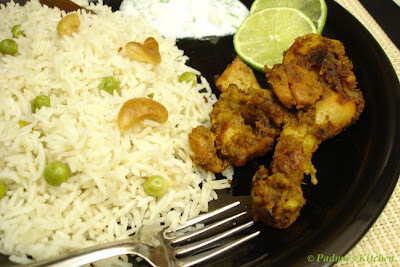 yummy looking combination of chicken fry and pulao! hmm can I come over?? the food sounds great. @ Sig, thanks ya, me too was thinking the same that there are few non-veg recipe blogger. I am happy we are making a bunch of nvb though! 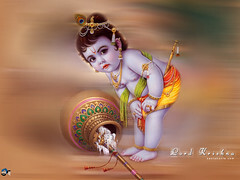 @ Kanchana, thanks dear, glad u liked it. that is a simple rice dish i ever seen.thanku for sharing. I have tagged you for the Meme.. play if you have the time !! That looks like a really mouthwatering meal! Mouthwatering is definitely the word to use!! hi Padma, I dont generally eat meat. But I like your collection of recipes here. 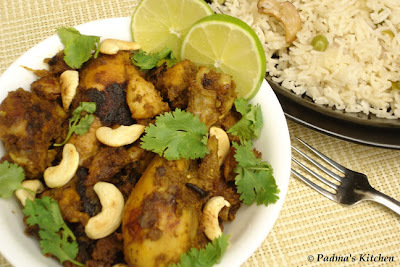 Hi Padma, really mouthwatering chicken fry and rice. Love them both combo. I will try your chicken fry version next time. Thanks for sharing. Looks lovely with peas pulao and nice presentation too. This is one of the most satisfying meal one can have. Looks great Padma. Hello! I have a surprise for you! Have a look on my blog! wow!! that looks so delicious!!! thanks Swapna, Athika, its really very simple and easy to make pulav, glad you liked it. 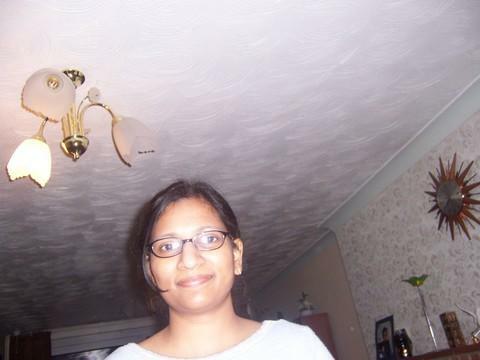 Thanks Poonam for visiting my blog, glad you liked it...you have a great blog going girl.. Thanks kajal and the peas pulav is super fast.. Thanks Dee for those comforting words. Fiona, I am feeling so lucky...for the tim tam...tararaataraa! that is an delicious looking combination/.chicken fry seems to be a favorite around here. Jeena dear thanks for visiting here and glad you liked the fry recipe..
Shaheen, its nice to see your comments and chicken fry is in the air, I guess! Hey great one Padma... I think I'll cook it for my fiancee on her b'day.... Thx!! The chicken fry and the rice and pea dishes sure compliment each other. Thank you for the recipe.